Fabula Mortis is a great new Steampunk FPS featuring twisted characters from old fairy tales. Featuring characters such as Alice (shown above), Rouge (Red Riding Hood), Wulf (self explanatory) and ROB (Tin Man?) 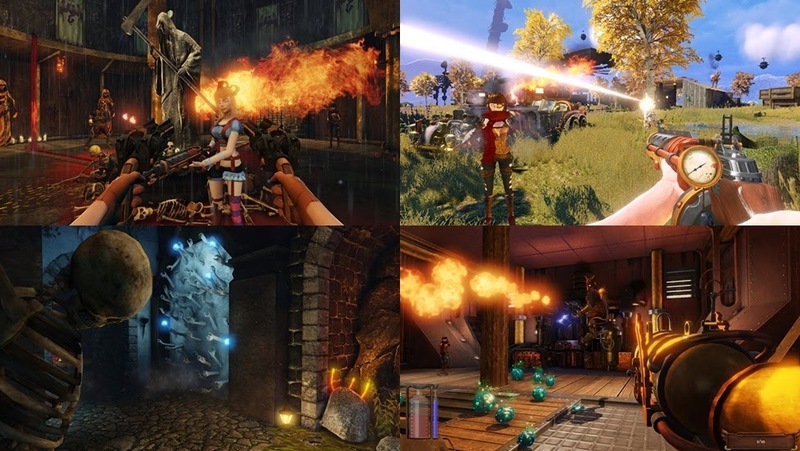 that encourage different playstyles, the game has fast paced combat with big beefy weapons that recalls old school FPS games such as UNREAL Tournament and Quake. The game also looks visually stunning, with lots of nice little touches, it’s a joy to roam around the twisted Wonderland that developers Deadghost have created.